​​As a shy, awkward kid, M.K. Beutymhill adored Victorian charm, fairy tales, and RPG's, none of which she ever outgrew. A stubborn independent streak introduced contact sports to this cocktail while surviving Charm City (balance is good, amirite, my ladythugs and gentledudes?). 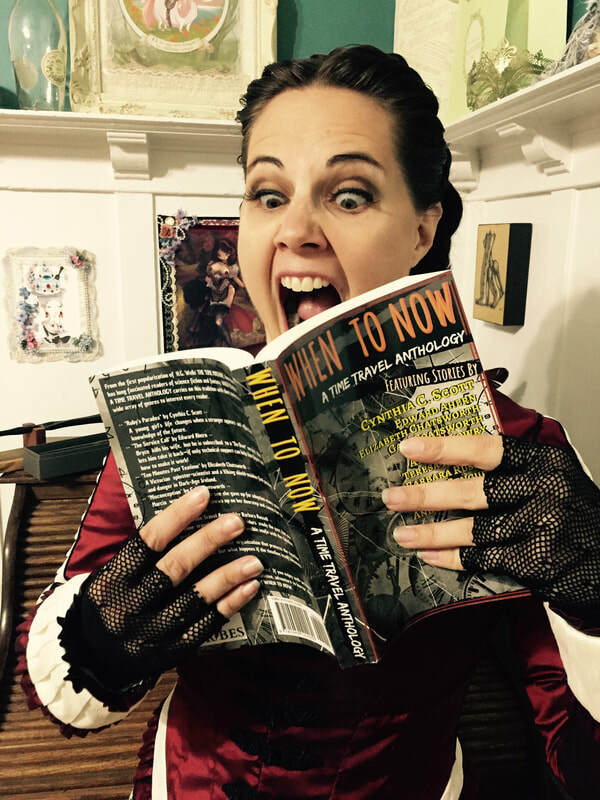 This juxtaposition between the whimsical and the visceral is present in her tales, where fantasy and science often collide for some blend of steampunk, gaslamp fantasy, or speculative historical fiction. When not writing - or daydreaming about writing - M.K. Beutymhill is likely adventuring across the Pacific northwest, training martial arts, cosplaying at conventions and faires, or getting her waltz fix at local dance events. She's an author and editor with the Fairfield Scribes, as well as a proud member of the Avenger's Initiative, a cosplay community outreach organization. 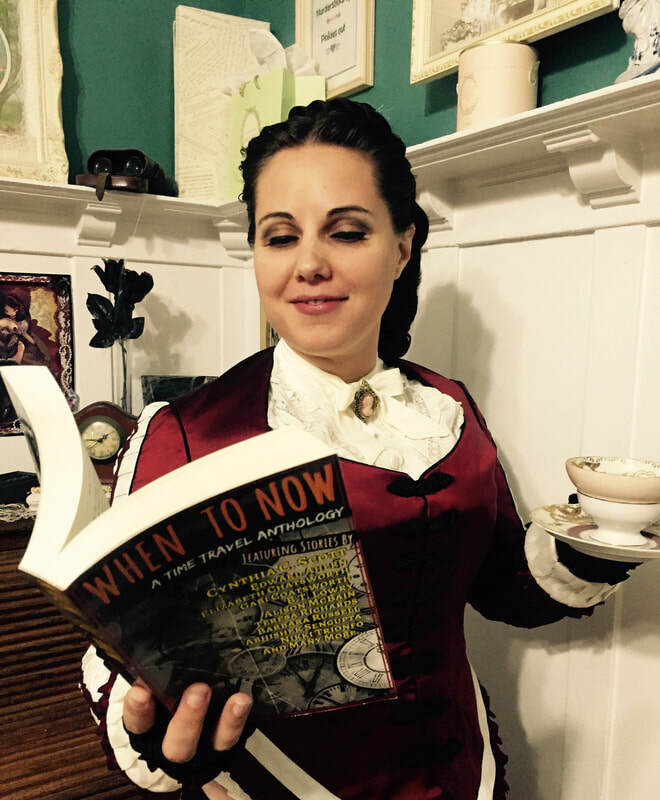 ​about her short story "A Peculiar Count in Time,"
"A Peculiar Count in Time" will cause you to drink tea, make contemplative faces, and scream (although maybe not in that order). ​who is rumored to be immortal. While the OG himself, the Comte du St. Germain, seems the obvious answer, the real one is the allure of blurring the lines between mysticism and science. These schools of thought often seem at odds with each other, but are they truly? We've wrestled with ourselves for centuries trying to figure it out, and continue to do so today. But let's not fool ourselves - we all know the panic of a deadline is the real hero here. I rather fancy Isabella's game plan to travel anywhen and everywhen with a camera at the ready. Think of the thrilling vacation photos! Small downside--I'd need a lot more scrapbooks. ​Currently, I'm working hard at polishing the full length version of The Curious Count of St. Germain. If you enjoy this anthology's excerpt, or would like to learn more about me and my shenanigans, please find me online at www.mkbeutymhill.com. ​​For an inside look at how she researched her story for When to Now, check out M.K. 's blog post HERE.